The Health Benefits of Pilates are often misunderstood, because there are so many people doing Pilates and they’re doing Pilates for different reasons. While weightlifting is an effective method for strengthening and shaping your muscles, Pilates will do this and much more; think of a balanced body that works effectively and is balanced and strong and graceful. Pilates will provide you with a strong and flexible spine by way of Pilate’s exercises which are designed to make sure that your spine is supported by the core muscles in your body, while ensuring that there is proper alignment in of all the bones in your body. While weight lifting is good for your body, there are more problems associated with weight lifting such as, overly developed and under-developed muscle groups which cause havoc in your central nervous system and are one of the many reasons so many weightlifters are constantly seeking chiropractic care. It’s very easy to over develop muscle groups which are meant to be in alignment and working together to push and pull and move in perfect harmony, but as we have said here, the weightlifter very often experiences discomfort and muscle spasms because their body is out of alignment, because of lack of attention to working with core muscle groups and overdeveloping muscles that are not meant to be overdeveloped. Joseph Pilates said, “The only real guide to your true age is the degree of natural and normal flexibility enjoyed by of your spine throughout your life. Pilate’s exercises are designed to strengthen, lengthen, and articulate your spine, so that your muscles work together, which is part of why Pilates is famous for helping people with back pain. The way your body moves in the Pilate’s studio or gym and in daily life, is the most important aspect of Pilates. Pilates wasn’t developed simply to create a more attractive body. Pilates will provide a method of training to allow your body to do what’s needed with grace, ease, and efficiency. A Pilate’s body is both strong and flexible, and is centered and balanced, as well as flowing while staying in control. Pilate’s principles are practiced consciously through Pilate’s exercises as the strength and flexibility that support them are developed. Pilate’s bodies are more uniform in muscular development. Gaining strength without bulk is one of the main reasons Pilates has become so popular. Note: Developing muscles that are pleasing visually while training your body to move at a high level of harmony and efficiency is one of the main goals of Pilates. You will never be flexible with muscles that are overly developed, or out of balance which will lead to all kinds of weaknesses that will cause you to strain the opposing muscles. Flat abdominal muscles are nice and Pilate’s exercise emphasis core strength and flexibility in your muscles and skeletal alignment as well as a great looking set of abs that are trained to work together in an integrated body that is relating at a high level to itself and the task at hand. A Pilates Body is conscious of body, mind, and spirit” (Joseph Pilates). Unlike many other fitness programs where the body is fully engaged and the mind left to wander, Pilates is consciously integrating the body and mind, which in turn rejuvenates the spirit. Pilates is about helping a person to get in touch with their body and mind. 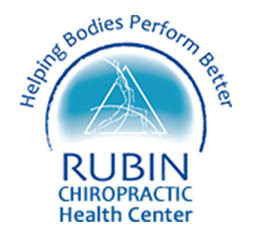 Call us at the Rubin Health Center in St Petersburg at 727-822-1555 and we’ll tell you more about the best Pilate’s classes in St Petersburg! We guarantee it!